Flesh and organs are not really my thing; give me dry bones over gooshy bits any day. So I don't usually go out of my way to see mummies. If they're on display in a museum, I'll look at them, trying to catch a glimpse of the bones poking through. But at last year's Paleopathology Association meetings, I heard a talk by Heather Gill-Frerking on the challenges involved in creating a museum exhibit on mummies and in communicating information about mummies to a wider public. When it was announced that the Mummies of the World exhibit would make its way to Discovery Place in Charlotte, just two hours from me, I figured I needed to check it out, and I brought with me a few interested parties from different disciplines: a Roman historian (my good friend Sarah Bond), a computer scientist (my husband Patrick), and an anthropologist-in-training (my 2.5-year-old daughter Cecilia). We were also accompanied by Douglas Coler, the coordinator of in-house education for Discovery Place, who helpfully answered our questions about the creation of the exhibit and the mummies themselves. 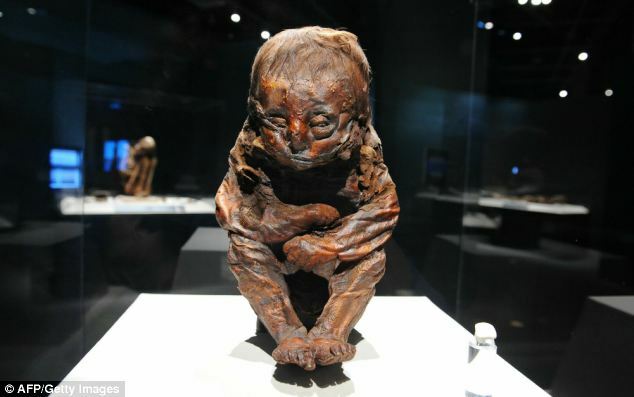 The exhibit is arranged largely chronologically, starting with the oldest prepared mummies - the Chinchorro mummies from about 5000 BC found in Chile and Peru - and ending with fairly recent natural mummies of the Orlovits family from 18th century Hungary. In between, there are mummies from Egypt and Peru, as well as a bog body. Animal mummies are presented as well - naturally preserved rats from Europe, purposefully mummified birds and fish from Egypt, and a spectacular howler monkey wearing a feather skirt and headdress from Argentina. I liked the organization of the collection very much. I've been teaching osteology, bioarchaeology, and palaeopathology for six years, and I always give at least one lecture on mummies. 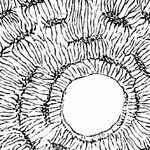 After explaining a bit about normal decomposition, I talk about how processes such as freezing and desiccation, as well as anaerobic environments, can preserve organic remains. And then I present some examples of mummies chronologically, with a map showing the locations around the world that have given us a variety of mummies. So it was great to, in effect, see my lecture come alive: I could have dropped my students into this exhibit, and they would have gotten all the information from my lecture in 3-D form. The artifacts that were on display, though, were quite cool. Just one Fayum portrait was loaned for this exhibit, but it was great to see it. In Roman times, many Egyptians were mummified with a painting covering the face area; whether the painting actually depicts the individual who has been mummified, though, has been in question for a while (with examples of female mummies having a male portrait, and vice versa). Most people are familiar with high-status mummies from the era of King Tut, and not as many know about the Fayum portraits of the middle and lower classes. 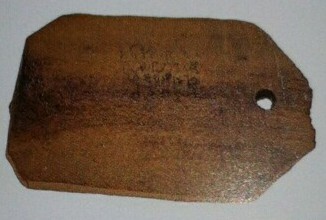 There was also a mummy tag from Egypt - basically the equivalent of the contemporary toe tag you'd see in a morgue. Sarah was especially pleased by this and attempted to make out the Greek writing. And there was even a page from the Egyptian Book of the Dead. So the context of Egyptian mummies was much better explained than was the context of any other culture's mummies, but given the abundance of Egyptian mummies and artifacts as well as the historical records from much of that time period, this was unsurprising. While I admit that I know next to nothing about creating a museum exhibit of this size, there were a few things I would have changed or included. There was a box of animal mummies, for example, still wrapped, and the different species were listed. But without an xray or CT scan, it's often impossible to tell a small dog from a large fish. It would have been nice to see the images that let the researchers figure that information out. (Perhaps more of this kind of information was contained in the videos on display; I confess I didn't have time to watch them, as we had already lined up lunch plans.) I also wanted a bit more information on the mummies to be listed directly on the exhibit tags - in particular, at least one of the Peruvian mummies had undergone cranial vault modification, but there was no explanation for the individual's different head shape. Sarah and I overheard a group of kids wonder why little Johannes Orlovitz was buried in a dress if he was a boy, but there was no explanation for the family's 18th century dress nearby; and I overheard people asking why some mummies were laid out and some were flexed. Within a tour group, these kinds of questions can be asked and easily answered, but a bit more information about these common questions would have been useful. The main point I took away from Heather's talk at the PPAs last year was not actually about the process of creating a museum exhibit - it was about the fact that the exhibit company had christened her a Mummyologist(tm). Yes, they actually trademarked the word. Hilariously, in the trademark paperwork, the description of the service provided is, "providing information about archaeology, anthropology and forensic science via the internet." Well, in that case, I guess I'm a Mummyologist(tm) too! Actually, maybe I can trademark Romanobioarchaeologist? At any rate, this neologism is super weird to me, since anthropologist (or biological anthropologist) is a perfectly good designation (and, honestly, since it should be Mummiologist by the rules of English). I think it does a disservice to kids to teach them this made-up word, and it undercuts to a small extent one of the points of the exhibit: to bring anthropological research to a wider public. We've seen time and time again that the public doesn't really know what anthropologists do, so I question the creation of Mummyology(tm?) and wonder what, if any, effect this will have on the perception of research on ancient humans. "Mama, I want to have a conversation." "I want to talk about mummies." "Did you like the mummies?" "Yes. There was a mummy with a big hole in him." "You're right. Why did he have a hole in him?" "He doesn't have any organs." "That's right. What else do you know about him?" "He was from Egypt, on the black globe." In spite of my minor critiques of the exhibit, Mummies of the World is an excellent overview of the types of preservation of organic remains. 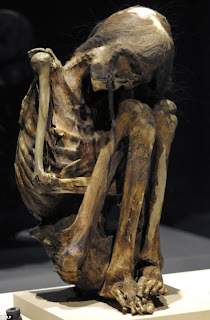 The specimens include humans and animals, range from South America to Africa to Europe, and represent high and low-status burials of men, women, and children. The chronological arrangement makes it easy to see that mummies have been created for millennia and aren't restricted to King Tut and his family. Special lighting (used to help preserve the mummies) sets the tone for the exhibit - the dimness is a bit eerie but also suggests a quiet respect for the dead, whose bodies give us a world of information about their lives and the eras in which they lived. The exhibition catalogue (which I didn't buy, but was priced in the giftshop at a very reasonable $40) is lovely and includes numerous chapters on mummies from around the world, along with additional pictures and information not presented in the exhibit, by such well-known mummy researchers as Albert Zink, Frank Ruhli, Heather Gill-Frerking, and Dario Piombino-Mascali. Anyone near Charlotte should take the opportunity to spend some time with these mummies before they move on after April 8. I enjoyed the exhibit, too, and I think your write-up captures it nicely. If you want the V's on your braids to point up, pull the middle strand out (rather than the usual in) at each exchange. We can try it on C tonight, if she's willing. Oh. I am trying this right now, and (are we surprised?) Patrick is right. Also, can we discuss how there should be an 'i' instead of 'y' in mummyologist TM ? "Flesh and organs are not really my thing; give me dry bones over gooshy bits any day"
I love that quote! I am always telling people I don't like doing squishy humans, glad to know I'm not the only one. Looks like an interesting exhibit. Hopefully it stops somewhere near me! 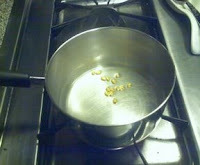 Great post :) I'm an anth student and I love reading your blog! I unfortunately live in California and won't be able to see this exhibit. Do you know where the exhibit is going after April 8th, and if it's traveling as a single cohesive unit? I'd love to see it!! 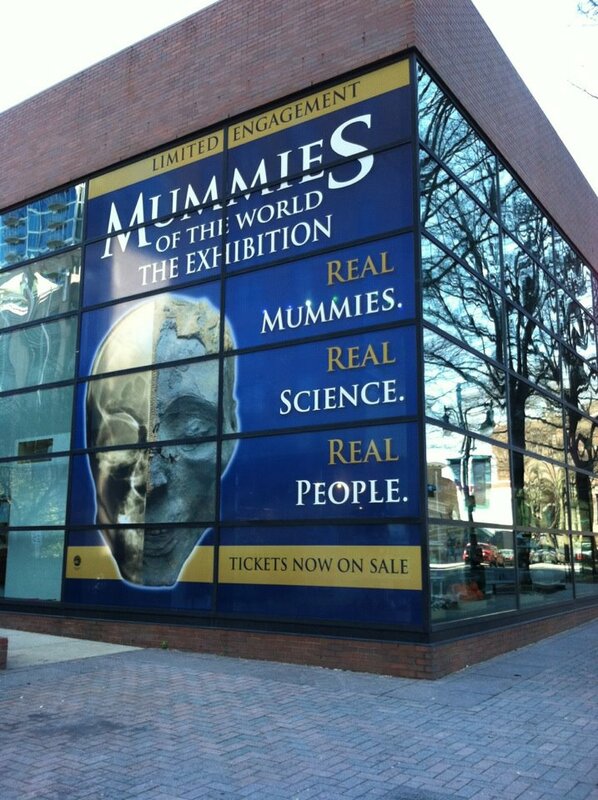 Monica - the Mummies exhibit is going to Tampa next (mid-April to September), but two more stops are planned (I couldn't find info for where). It already hit LA in 2010, unfortunately, so I don't know if another California stop is planned.